Saber Interactive has announced the release date for Spintires: MudRunner – American Wilds Edition on Nintendo Switch. Spintires: MudRunner – American Wilds Edition will be out on November 27, 2018 in the west. The definitive edition of the game contains the new expansion, base game, and all DLC content released in the past. Watch the teaser trailer and learn more below. Spintires: MudRunner – American Wilds Edition, the definitive version of the indie hit Spintires: MudRunner now has a date for its Nintendo Switch debut: November 27th. Release on PlayStation 4, Xbox One, and PC is still set for October 23rd. As with the other platforms, the Nintendo Switch version of Spintires: MudRunner – American Wilds Edition will bring together the new expansion, the base game, and all the DLC content released so far, for a total of over 30 vehicles, 60 add-ons, 10 sandbox maps, and 11 challenge maps. Most notably, it will feature 2 brand new sandbox maps inspired by the rough lands of Montana, North Dakota, and Minnesota, new challenges to tackle, and seven iconic US trucks from household brands like Ford, Hummer, and Chevrolet. 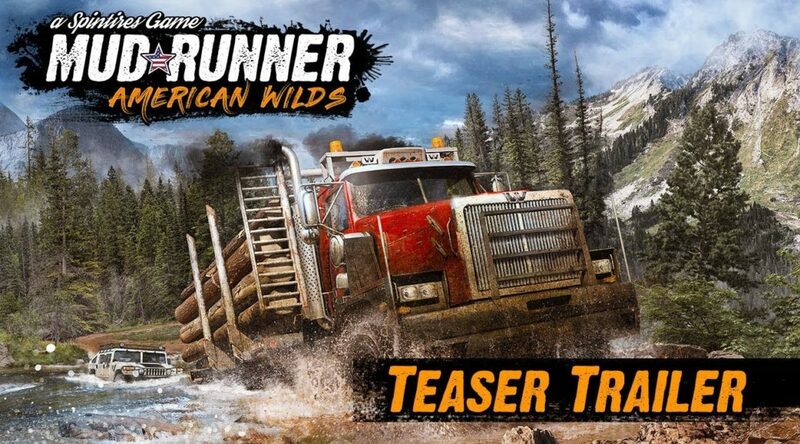 Spintires: MudRunner – American Wilds will release for the first time on Nintendo Switch on November 27th. The American Wilds Expansion, as well as the American Wilds Edition that includes the base game and all the previously released DLC, will come to PlayStation 4, Xbox One, and PC on October 23rd.